How would you feel if you had been told lies your whole life and forced to take medication when you knew you weren’t sick? How would you feel if you found out you were a human hybrid and that your whole life had been some sort of long running science experiment? Would you strive to live up to some higher purpose or turn on those around you? 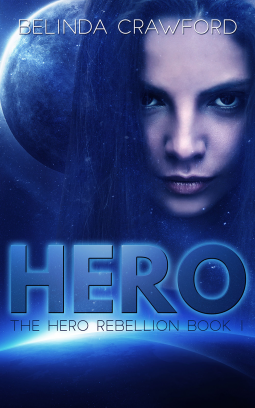 Hero is the first book in The Hero Rebellion and it introduces us to Hero Regan. We see Hero battle normal teenager issues; school bullies and finding out who her true friends are, as well as dealing with the consequences of who and what she truly is. Hero is an extremely intelligent young woman and it feels as if she has an epic life in-front of her, one I’m looking forward to continuing to follow. It took me little while to get used to all the new names of things, the animals and construction materials etc, but I can see that the purpose of this was to set the scene of a new futuristic world and it was all good once I got the rhythm of it. Did I get your attention with those opening lines? And while yes, I’ve just given away a few of the major reveals in the book, I haven’t given away them all! Hero was a Five Star YA Sci-Fi for me and I’m looking forward to reading the sequel. This entry was posted in Book Reviews: ALL, Book Reviews: YA only, Default and tagged Australian Author, book review, fantasy, Love OZ YA, LoveOZYA, Odyssey Books, Sci Fi, Science Fiction, Teens, YA Fantasy, YA Fiction, YA Scif-FI, Young Adult Book Review by Sarah "SacaKat" Fairbairn. Bookmark the permalink. I requested the book because I was in the mood for sci-fi at the time and I liked the synopsis. It was a wonderful surprise when I was looking the author up, after I’d been approved, that she was an Aussie. Double awesomesauce!